It was less than a year ago, that we announced the debut of Erroyl with the dressy Heritage collection. When I got the possibility to wear the E30 Heritage White for a hands-on review, I got completely converted. 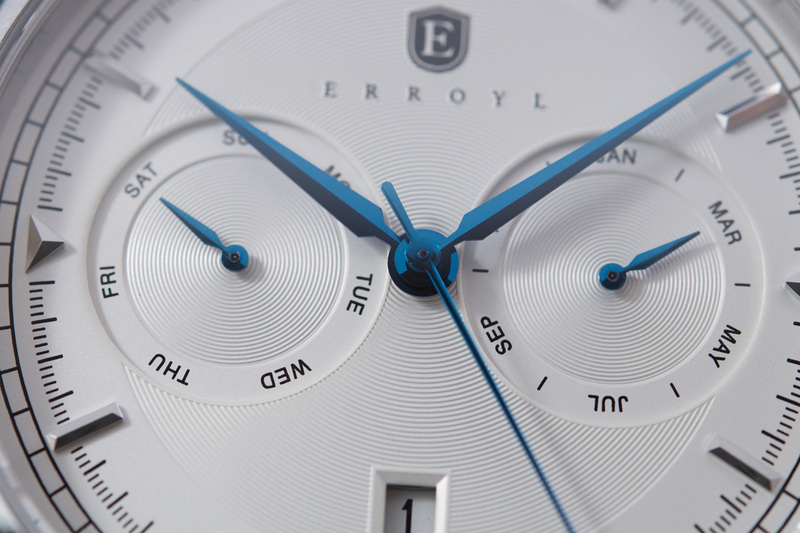 The elegant dial, well proportioned case and overall attention to details, convinced me that Erroyl is one of the few micros out with a serious approach to watches. 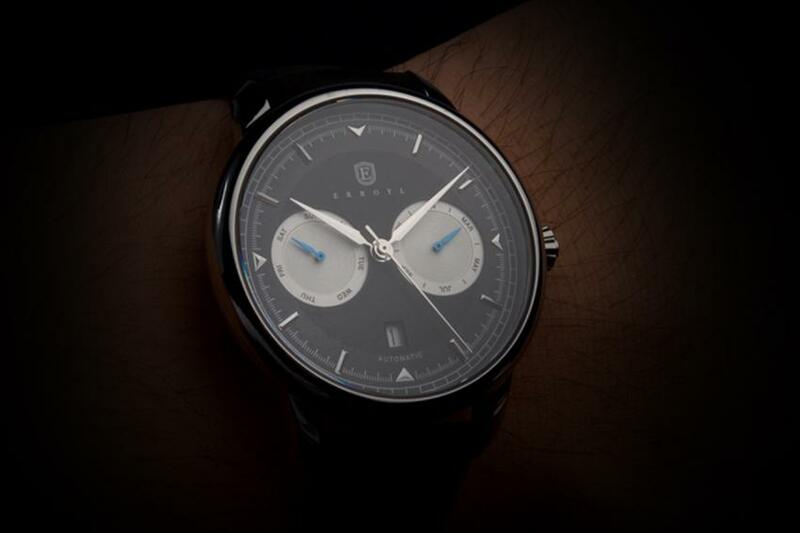 Their successful Kickstarter campaign for the Heritage, was followed by the release of the limited edition Heritage Royal 300, a stainless steel piece on bracelet with a striking blue sunray dial. This week, Erroyl announced their second collection, The Regent. While staying true to their dressy design style, the Regent features a triple calendar complication, powered by the Miyota 9122 automatic calibre. 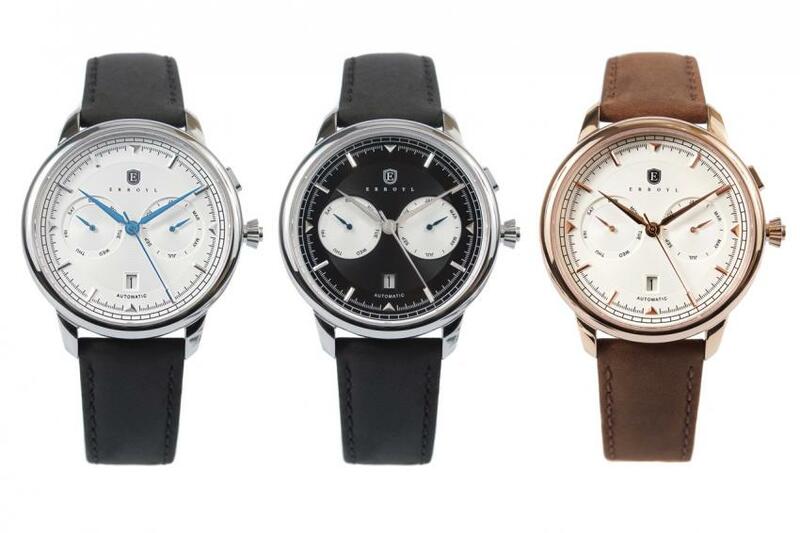 There are three models to choose from: the Regent Luna is stainless steel with white dial and blued hands, the Regent Nero is a stainless steel model that comes with panda dial and finally, the rose gold coated Regent Aurum with white dial. I’m particularly happy to find all the elements I liked about the Heritage, kept on the Regent too: applied hour markers, concentric guilloche decoration, elegant dauphine hands. Because of the triple calendar, there are more things happening on the dial, but I can see the effort to keep it clean and uncluttered. 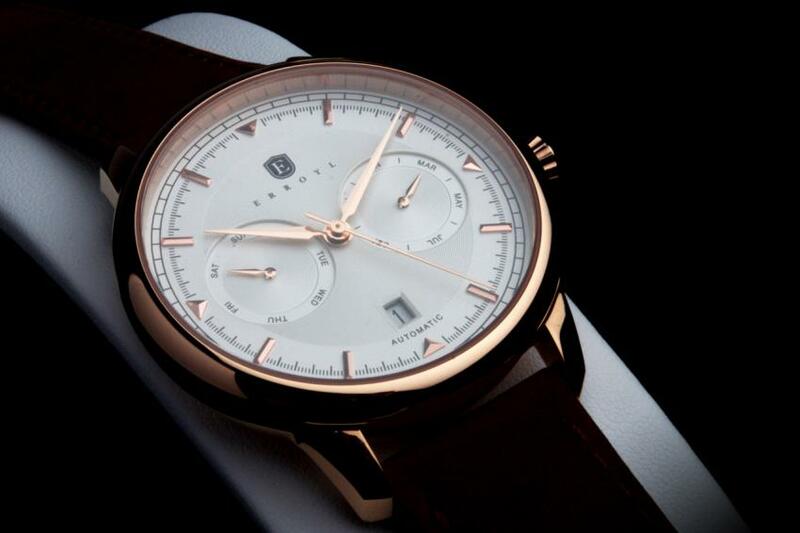 The dial is protected by sapphire crystal and the back features a stamped case back. The watches are completed with Italian crazy horse leather deployment buckle strap in dark brown and black, and they will be shipped in a luxury presentation box. Encouraged by the positive feedback they have got from their customers, Erroyl CEO, Wes Knight, decided to launch their second collection, the Regent, directly on their website and skip Kickstarter. As of today, you can pre-order the Regent of your choice, with the Luna is available for AUD $499 during the pre-order period ($625 after pre-order) while the Regent Aurum and Nero are priced at AUD $512 during the pre-order period ($640 after pre-order). All prices include free international shipping. Only a limited number of each model will be available at the special pre-order price and once sold out they will be available when shipping is scheduled to commence. Erroyl confirmed that shipping of the Regent collection is scheduled for January, they are already putting the final touches on packaging and everything is running to schedule. 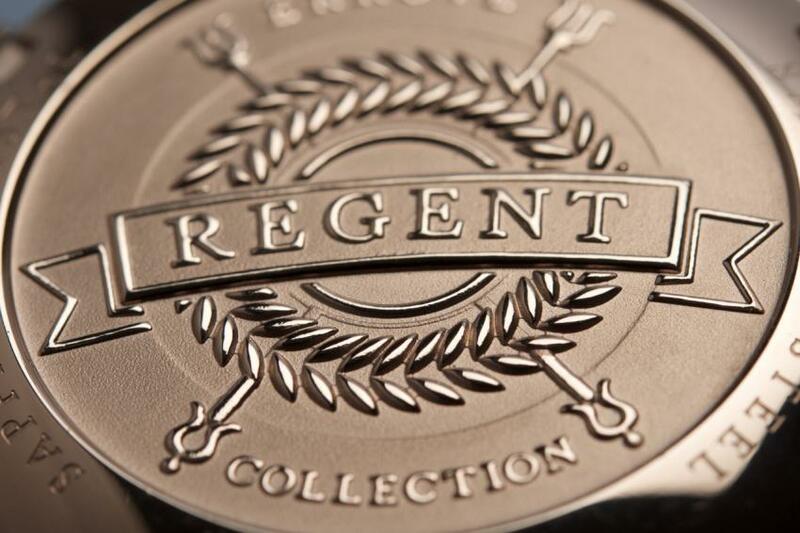 For more about the Regent collection and to pre-order, click here.